Anonymous : After 25 years since the last time I read this book, its like being back on Cannery row all over again- the smells, the sounds, they joys and sorrow of the characters. In this work, Steinbeck put forth some of his finest writing. On the surface, the language and the story seem simple but only deceptively so. There are many subtleties and nuances that lend so much flavor and a sense of presence to this fine work. This is definitely one of my most favorite books. Highly recommended! billyminersbooks (Lukeville ): Although John Steinbeck wrote many great works of American literature Cannery Row is my favourite by far. This short tale of the inhabitants of a stretch of industrial property on the coast of California is a rich little comic gem that Steinbeck lifts briefly into the Summer sun so that we might glimpse a society different from, but not entirely unlike, our own.Though it's not socially revolutionary like The Grapes of Wrath, nor the genesis of a Hollywood blockbuster like East of Eden, it is told with such precision and with such affection and respect for its ragtag cast of characters that the reader feels privileged to have met them.Mack and the boys are not bums and drunkards but "gentlemen and philosophers united by a common dislike of a steady job and a mutual feeling for the pleasures of living according to their lights" and Doc, the main character, is "half-Christ and and half-satyr" as he collects his marine and terrestrial fauna for sale to scientific laboratories while unofficially ministering to the sick puppies, lost children and unhappy souls on the Row.You must be somewhat slipshod in your own morals to like this book, it's not for the ramrod stiff among us. As Lewis Gannet wrote: "It does not rank cleanliness next to godliness, and its everyday vocabulary takes four-letter words in its Elizabethan stride". And there are whores, but you must be able to see them as sisters and daughters with dreams of their own, and better places to be in time.And so I invite you, after the busy canneries shut their doors in the late afternoon. Come out with the boys to sit on the rusty pipes in the vacant lot, watch as the girl's emerge from Dora's "for a bit of sun if there is any", cross the street to Lee Chong's for a couple of quarts of beer and take them over to Western Biological to see if Doc is in. Muzzle : I loved the book, it brings the reader back to a simpler time when the world wasn't participating in the throes of a 40 yard dash. first edition. n.p. (NY), n.p. 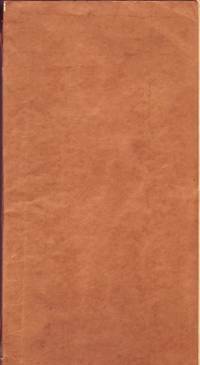 (The Viking Press), n.d. (1944), first edition, wrappers. Softcover. Advance copy, an uncorrected galley proof, bound in plain, unprinted tannish wrappers, printed on rectos only, a very scarce advanced state of this minor, or not so minor, Steinbeck masterpiece whose themes of death and loneliness are masked by its surface layer of humor, all the more rare in that this is an Author Presentation Copy, Inscribed by Steinbeck to the best man at his second marriage, Howard O. Hunter, who was the Works Progress Administration (WPA) commissioner in the early 1940s under the FDR administration, Steinbeck and his second wife, Gwen Conger, were married March 29, 1943, just 11 days after receiving his final divorce decree from his first wife, Carol, Steinbeck has Inscribed the first priminary as follows, "For Howard/who really/belongs in/Cannery Row/John Steinbeck/last night in New York 1944," this galley lacks all the preliminaries found in the 1945 published version such as half titles, title page, copyright page, dedication page, etc., although not specifically cited in Goldstone & Payne, there is a notation under G&P A22a that "a copy of the unrevised galley proofs is in the Humanities Research Center at the University of Texas," see Morrow 172 (that copy with a yellow label on front giving publication date and price that is not on this copy--the Morrow copy was not signed or inscribed), now housed in a beautiful custom clamshell case with leather spine, laid in loosely is a letter of provenance from Ellen Leonard who was given this proof by Hunter's wife, Edna. This was bound for in-house use by Viking and not for sale, thus it was never meant to be in great condition even when new, spine ends are chipped, there is offsetting from printed pages onto the previous verso, some pages are becoming dis-bound. New York: Viking Press, 1945. First edition, second issue. Hardcover. 8vo. 208pp. Canary-yellow cloth in color printed dustjacket. Housed in three-quarter blue leather clamshell case with 5 raised bands on spine and gilt lettering and ruling. INSCRIBED "For Anais/who if circumstances/& sexes were/not so involved,/I would ask to/be my bride/John Steinbeck". Mr. Steinbeck has also drawn a bird underneath his signature. An uncommonly effusive, playful, and intriguing inscription from Steinbeck, almost certainly addressed to Anais Nin. Though not generally realized or discussed, Steinbeck and Nin were acquainted. At the time of Cannery Row's publication (the style of Steinbeck's hand and the book's edition suggest a contemporaneous or near-contemporaneous execution), both Steinbeck and Nin were living in New York City. Furthermore, they had numerous mutual and near-mutual acquaintances. Near fine in dustjacket; housed in three-quarter blue morocco over blue cloth covered slipcase with gilt lettering. Note: An auction house has questioned whether the textblock has been recased; our professional bookbinder disagrees. Henry Miller is of course the most obvious, though he knew Steinbeck only casually and maintained a rather chilly distance from and opinion of the writer. At the same time, Miller was considerably more inclined towards Ed Ricketts, Steinbeck's best friend and the inspiration behind Cannery Row. In addition, Kathryn Winslow, Miller's long-time supporter, was close to both Nin and Ricketts. More directly, Nin socialized with director/producer Sasha Hammid, who worked with Steinbeck on The Forgotten Village (see Nin DIARIES Vol. IV, p. 75). No matter how they were originally introduced or became acquainted, however, there is no doubt they knew each other. Even before the publication of Cannery Row, Nin writes in her famed diary: "May make side trips to visit Steinbeck and Krishnamurti and the Rosicrucian Center. Am going to the most interesting part of California - the wild... [etc.]" (The Journals of Anais Nin: 1939-1944, 119). More intriguingly, both Steinbeck and Nin attended the opening of a Monterey restaurant in 1947, an event Nin vividly describes: "To celebrate the opening of Angelo's cafe‚ we were invited come in disguise. It was difficult to find odds and ends to make costumes out of...There were no curtains, no draperies, no paints, no textiles. We did the best we could. I dressed John's [Steinbeck] wife: From the waist up she was a nun, in brown chiffon, with a cross on her breast. Below was the same chiffon, trailing to the floor, but without a slip underneath, so her legs could be seen in silhouette. When we arrived, there were some costumes done by Varda which were marvelous. He had dressed some of the young women as his collages" (Diary of Anais Nin 1944-1947, 221). On a more speculative note, it is also worth noting the following. First, that the period during which this book was likely signed coincided with Steinbeck's brief and rather tumultuous marriage to Gwyn Steinbeck. Second, in addition to both authors living in New York City in the years immediately following the publication of Cannery Row, both Nin and Steinbeck traveled to Mexico in the summer of 1948. And following John and Gwyn's official separation in August of that year, Steinbeck returned to Pacific Grove to live; Nin established an apartment in San Francisco that Fall. She remained in that apartment until January 1950, before returning to New York City. Steinbeck meanwhile returned to New York a month or so earlier in the winter of 1949. Finally, Steinbeck's only other appearances in Nin's famed diaries occurred during these years. The first, dated August 1945, mentions Steinbeck in connection to Sasha Hammid (see above). The second, dated August 1946, finds Nin observing: "How easy it is to do what Steinbeck does, to take people's suffering. Physical hunger, physical poverty, whose troubles are direct, concrete, simple. His world is simple to tell" (Nin DIARIES Vol. IV, p. 122). Whether the inscription here offered suggests a closer relationship than previously acknowledged or whether it simply finds Steinbeck in an atypically (for him) playful mood, it is perhaps impossible to say. However, given the connections between the writers, the inscription's tone and content, not to mention Nin's rather unusual name, we cannot imagine a recipient other than Anais Nin. A unique association, one with potentially important implications for Steinbeck and Nin studies. (Goldstone & Payne A22 b). The Viking Press, New York, 1945 First Edition, First Printing. This copy is authentically INSCRIBED and SIGNED by John Steinbeck. A beautiful copy. This ORIGINAL First Issue dustjacket is vibrant in color with minor wear to the edges. The book is in excellent condition. The binding is tight with NO cocking or leaning and the boards are crisp with minor wear to the edges. The pages are clean with NO writing, marks or bookplates in the book. Overall, a wonderful copy SIGNED by the author in collector's condition housed in a custom clamshell slipcase for preservation. We buy SIGNED Steinbeck First Editions.. Signed by Author(s). 1st Edition. Hardcover. Fine/Fine. The Viking Press, New York, 1945 First Edition, second cloth issue authentically SIGNED & INSCRIBED by STEINBECK on the front free endpaper to his friend, Tom Work. This ORIGINAL price clipped dustjacket is rich in color with minor wear to the edges. The book is in great shape with light wear to the boards. The pages are clean with NO writing, marks or bookplates in the book. A lovely SIGNED by the author in collector's condition.. Signed by Author(s). 1st Edition. Hardcover. Near Fine/Near Fine. The Viking Press, New York, 1945 First Edition. This copy is AUTHENTICALLY INSCRIBED and SIGNED by John Steinbeck. Beware of forgeries, see our website. This ORIGINAL dustjacket has light wear to the spine and edges. The book is bound in the publisher's yellow cloth with light wear to the boards. The pages are clean with NO writing, marks or bookplates in the book. A lovely copy SIGNED by the author housed in a custom clamshell slipcase for preservation.. 1st Edition. Hardcover. Near Fine/Near Fine. Viking Press, 1945 A fine first edition, first state (beige not yellow cloth) in a fine dust jacket. Housed in a custom-made collector's slipcase.. 1st Edition. Hardcover. Fine/Fine. The Viking Press, New York, 1945 First Edition, First Printing with the words "First Published by the Viking Press in January 1945" printed on the copyright page. A magnificent copy. The ORIGINAL First Issue dustjacket is vibrant in color with NO chips or tears and the publisher's $2.00 printed price is present on the front flap. The book is in fantastic shape and appears UNREAD. The book is bound in the ORIGINAL publisher's second issue yellow cloth boards. The binding is tight and the boards are crisp. The pages are exceptionally clean with NO writing, marks or bookplates in the book. Overall, a spectacular copy housed in a custom clamshell slipcase for preservation.. 1st Edition. Hardcover. Fine/Fine. Viking, 1945 First Edition, First Printing with First Issue binding. A stunning dustjacket that is vibrant in color with slight wear to the edges and corners. The dustjacket has the $2.00 price present and all the first issue points. The book is in excellent shape. The binding is tight and the boards are crisp with imperceptible wear to the edges. The pages are clean with no writing, marks or bookplates in the book. Overall, a beautiful copy of this true first edition in collector's condition. Includes a custom clamshell slipcase for presentation and preservation.. 1st Edition. Hardcover. Fine/Fine. Viking, 1945 First Edition, First Printing bound in buff cloth, not yellow. A beautiful dustjacket that is rich in color with slight restoration to the edges and spine. This original dustjacket has all the first issue points present. The book is in excellent condition. The binding is tight, and the boards are crisp with a hint of wear to the edges. The pages are exceptionally clean, with no writing, marks or bookplates in the book. Overall, a lovely copy of this true first edition, seldom seen in such amazing condition.. 1st Edition. Hardcover. Fine/Fine. New York: Viking Press, 1945. Hardcover. Fine/Fine. First edition in buff-colored, first issue binding (as opposed to the later and much more common yellow binding). Fine in very near fine dustwrapper with slight rubbing at the extremities. A very nice copy of a deceptively uncommon first edition. New York, The Viking Press, 1945., 1945. First edition, first issue (so stated; "January, 1945"). 8vo. Original stiff blue wrappers, printed black (spine wrapper a bit sunned). Very good. 208 pages. No signatures or bookplates. The rare advance first issue, in wrappers. Goldstone & Payne A22a.. 1st Edition. Soft cover. Very Good/No Jacket. Viking, 1945 First Edition, First Printing bound with the Buff Cloth, NOT yellow. An original First Issue dustjacket that has some wear to the spine and edges. The book is in great shape. The boards are clean with minor wear to the panels. The pages are clean, with no writing, marks or bookplates in the book. Overall, a nice copy of this true first edition.. 1st Edition. Hardcover. Near Fine/Near Fine. New York: The Viking Press, 1945 First edition, advance issue in the publisher's blue wrappers. An excellent copy with only some minor fading to spine, else fine. Cannery Row is a Depression-era novel set in Monterey, California. The plot takes place on a grungy street with "the gathered and scattered, tin and iron and rust and splintered wood, chipped pavement and weedy lots, junk heaps, sardine canneries of corrugated iron, honky tonks, restaurants and whore houses, and little crowded groceries, and laboratories and flophouses." The actual street in Monterey has since been renamed "Cannery Row" in honor of this iconic novel. The plot features an unlikely cast of characters, including a marine biologist, a grocer, a restaurateur, and a group of local vagabonds. Cannery Row is exemplar of Steinbeck's talent for making even the most unsavory characters relatable and endearing; Mack and his group of homeless squatters are described as "gentlemen and philosophers united by a common dislike of a steady job and a mutual feeling for the pleasures of living according to their lights." Much of the inspiration for this novel and its 1954 sequel Sweet Thursday were drawn from the author's own life; Steinbeck was born in Monterey County, grew up knowing fishermen and other laborers, and was close friends with a marine biologist, Ed Ricketts, who worked on the real Cannery Row.. First Edition.. Fine. New York: The Viking Press, 1945 First Printing of First Edition, First Issue in light-buff cloth boards, top page edge stained blue [Goldstone-Payne A22.b]. Book with mild wear to bottom board edge, tiny bump to bottom corner, light age toning to endpapers and some uneven fading to the top-stain, else in fine condition; dust jacket with a couple tiny closed tears, mild edge wear and moderate soiling to rear cover, else fine. Viking Press, 1945 First Edition with first issue buff cloth covers (instead of the second issue canary yellow). Fine in a fine dust jacket. Original price still present on jacket flap. States First Published by the Viking Press in January 1945 on the copyright page. Comes in a custom-made collector's slipcase.. 1st Edition. Hardcover. Fine/Fine. Viking, 1945 First Edition, First Printing dustjacket. A beautiful dustjacket that is rich in color with light wear to the edges. This original dustjacket has the $2.00 price present on the front flap. The book is in excellent condition. The binding is tight, and the boards are crisp with minor wear to the edges. The pages are clean with no writing, marks or bookplates in the book. Overall, a wonderful gift copy.. 1st Edition. Hardcover. Fine/Fine. first edition. NY, Viking, 1945, first edition, wrappers. Softcover. Advance copy, probably issued for review purposes, of this minor (or not so minor) masterpiece that some see as a reminiscence of Steinbeck's early days in the Monterey area, but which is really a story of death and loneliness in the aftermath of World War II, Goldstone & Payne A22a, Morrow 173. Fine. New York: The Viking Press, 1945. First edition. Fine/Near Fine. In the correct, first issue buff-colored cloth (second issue is canary yellow). A Fine copy of the book in a Near Fine dust jacket with one small chip near the base of the spine, otherwise in excellent condition. Famed critic Edmund Wilson said "I believe that it is the one [Steinbeck book] I have most enjoyed reading." Steinbeck's straightforward prose follow the trials and tribulations of the people living along Cannery Row, in Great Depression era Monterrey, California. Indeed, the fame of the novel would help turn Cannery Row into a kind of tourist attraction. Steinbeck had just come home from being a war correspondent, and the experience - along with his failing marriage - scarred him considerably. He began this book as kind of an escape, both for him and his readers. "Some critics have suggested the book was specifically an attempt to escape the harsh realism of the war and infuse some cheerfulness into his reading audience." (Critical Companion to John Steinbeck). Fine in Near Fine dust jacket. New York: Viking, 1945. First Edition, First State in beige cloth. A little soiling and rubbing to cloth, very good in a very good dust jacket with some tiny nicking and tears, some vertical marks on the inside flaps, and some small internal repairs. Viking, 1945 First Edition, First Printing. This is the TRUE FIRST EDITION, with the buff cloth binding. Most copies have the yellow binding which was issued later. The book is in nice shape. The pages are clean with no writing, marks or bookplates. This ORIGINAL dust jacket is rich in color with light wear to spine ends, not effecting any lettering. Overall, an attractive copy of the original dust jacket, and first state book. Trades and offers considered.. 1st Edition. Hardcover. Fine/Near Fine. first edition. NY, Viking, 1945, first edition, first printing, dust jacket. Hardcover. First issue binding of buff cloth, dust jacket as designed by Arthur Hawkins, Jr., this minor (or not so minor) masterpiece about death and loneliness is masked by its surface layer of good humor, Steinbeck's best friend, Ed Ricketts, the legendary marine biologist, makes one of his many appearances as a character in Steinbeck's works, Goldstone & Payne A22b, not recorded by Morrow. A very solid copy. The Viking Press, 1945 Published in New York by The Viking Press in 1945. First Edition with first issue buff cloth covers. Book very good, wear on ends of spine and corners, newspaper clipping glued to front paste-down, ink stamp and embossed stamp from previous owner's library on front free endpaper, and writing from previous owner on front free endpaper. DJ very good, chipping at ends of spine and corners, some soiling on rear, residue on top corner of front flap (maybe from price sticker) and spine darkened. DJ price reads "$2.00". Book comes in specially made cloth slipcase.. 1st Edition. Hardcover. Very Good/Very Good. The Viking Press, 1945 Published in New York by The Viking Press in 1945. First Issue. Book very good, some staining to front and back boards, light wear to top edge of front and back boards, minor wear at ends of spine, discoloration to front and back paste-downs and free endpapers, minor repair to fore edge of front matter. DJ very good, darkening of spine, rubbing along back spine hinge, minor chipping at both ends of all hinges, and small repaired hole at top of spine. DJ price reads "$2.00". Book comes in specially made cloth slipcase.. 1st Edition. Hardcover. Very Good/Very Good. New York: Viking Press, 1945. First Edition, First State beige issue binding. Fine clean copy in a bright very good price-clipped dust jacket with a few minute nicks and a few small expertly mended by a paper conservationist. New York: The Viking Press, 1945. First Edition. Hardcover. Very Good. First edition, first printing. In first state buff cloth binding. Very Good, in Very Good dust jacket with price of $2.00 intact. Previous owner name and date to front free end paper. Slight darkening to cloth at gutters. Dust jacket shows rubbing at extremities, toning and light edge wear. First state binding. The Viking Press, 1945 Very good in a very good dust jacket. First Edition, first state. First Published by The Viking Press in January 1945 stated on the copyright page. Book is bound in original mustard colored cloth (not the bright yellow of later printings). Book has slight edge wear. Dust jacket shows original price of $2.00 printed on the front flap; some chipping along the edges, at corners and spine ends. Rubbing along the edges and some darkening of the back panel.. 1st Edition. Hardcover. Very Good/Very Good. The Viking Press, 1945 Very good in wrappers with a very good dust jacket. Advance Review Copy. Original blue paper wrappers. There is a small tear at the bottom of spine hinge to front; very slight tanning on the edges. The dust jacket has the original price of $2.00 printed on the front flap. Moderate chipping at the corners and along the edges. A small piece is missing from the top and bottom spine ends; moderate amount of soiling. Comes housed in a collector's slipcase.. 1st Edition. Soft cover. Very Good/Very Good. New York: Viking Press. Near Fine in Near Fine dust jacket. 1945. First Edition. Hardcover. First edition, first state binding in buff cloth with blue topstain. Slight rubbing to cloth edges, bottom points slightly softened. Tight and unmarked with very faint evidence of handling to pages and very faint trace of soil to cloth. The DJ in mylar is nicked at spine ends, and is marred to top leading corner where perhaps a price sticker was removed. Slight toning to rear panel, and $2.00 flap price intact. ; 8vo 8" - 9" tall . New York: Viking Press. Very Good+ in Very Good dust jacket. 1945. First Edition. Hardcover. First edition first issue buff cloth with blue topstain. PO name to ffep and fep. Small stain to front board, corners slightly softened/rubbed, a few creased page corners. The first issue DJ in mylar has rubbing to joints, stain to front panel, small tears to gutters at spine head, trace foxing, tiny pink spot rear panel, tiny tears at points. ; 8vo 8" - 9" tall . Viking, 1945 First Edition bound in the ORIGINAL cloth. An ORIGINAL dustjacket that has some light wear to the spine and edges. The book has some wear to the spine and edges. The pages are clean with NO writing, marks or bookplates in the book. Overall, a collectable copy of this First Edition.. 1st Edition. Hardcover. Near Fine/Near Fine. New York: The Viking Press, 1945. First Edition. Original Wraps. Very Good. 7 3/8" x 4 3/4" First Issue (January, 1945) ADVANCE REVIEW COPY 208pp., (1)pp. list of Steinbeck's other works. Bound in blue paper wraps lettered in black; A very good to fine copy and scarce in nice condition. New York: The Viking Press, 1945. First edition. Fine/Near Fine. Second issue, with the bright canary yellow binding. Blue topstain. A Fine copy of the book in a Near Fine, unclipped dust jacket with the original $2.00 price. Some small chips to the head and crown of the spine, and minor wear at the base of the front flap. Original owner's signature to the front endpaper. In all, a very pleasing copy of this great Steinbeck classic. Famed critic Edmund Wilson said "I believe that it is the one [Steinbeck book] I have most enjoyed reading." Steinbeck's straightforward prose follow the trials and tribulations of the people living along Cannery Row, in Great Depression era Monterrey, California. Indeed, the fame of the novel would help turn Cannery Row into a kind of tourist attraction. Steinbeck had just come home from being a war correspondent, and the experience - along with his failing marriage - scarred him considerably. He began this book as kind of an escape, both for him and his readers. "Some critics have suggested the book was specifically an attempt to escape the harsh realism of the war and infuse some cheerfulness into his reading audience." (Critical Companion to John Steinbeck). Fine in Near Fine dust jacket. A very good first printing in first issue beige cloth (not the second issue cannery yellow cloth) in a very good first issue dust jacket with some tape on the inside not visible on the outside of the jacket. New York: The Viking Press, 1945. FIRST EDITION, first printing. Original dust jacket with $2.00 price. Second state binding with the yellow cloth. Previous owner's name on the front free endpaper. . First Edition. Full Cloth. Near Fine/Near Fine. 8vo - over 7¾" - 9¾" tall. Hardcover. New York: The Viking Press, 1945. First Edition. Near Fine/Very Good. First edition, first printing in first state binding (beige rather than canary yellow). [vi], 208,  pp. Buff cloth with blue topstain. Near Fine with a few tiny stains to cloth, foxing to front gutter, in Very Good unclipped dust jacket, chipped at extremities, a few small stains (mostly visible on verso), spine panel dulled, edges rubbed. A novel set in the sardine canneries of Monterey, California. New York: Viking Press, 1945. First Edition. Hardcover. A novel set amidst the sardine fisheries of Monterey, CA, revolving around the lives of those who lived there during the Depression. Basis for the 1982 David Ward film starring Nick Nolte, Debra Winger, and Audra Lindley. GOLDSTONE & PAYNE A22.b, HANNA 3340. Second Issue. Octavo (19cm); yellow cloth, with titling and rule stamped in blue on spine and front panel; blue topstain; dustjacket; 208pp. Hint of darkening to spine, with faint staining along joints and fading to topstain; Near Fine. In later dustjacket, advertising war bonds on rear panel; both corners clipped, spine gently sunned, with light wear, short tears, and small stains to spine on verso; Very Good+. New York: The Viking Press, 1945. First State binding (light-buff cloth). Small remnant of address label on front paste-down. Light staining to boards and top edge. Pages clean.. First Edition. Hard Cover. Very Good-/No Dust Jacket. 12mo - over 6¾" - 7¾" tall. first edition. NY, Viking, 1945, first edition, dust jacket. Hardcover. A minor (or not so minor) masterpiece with its surface layer of good humor disguising its actual themes of death and loneliness, themes that haunted Steinbeck during World War II, Goldstone & Payne A22b, this copy in the canary yellow binding, jacket illustrated by Arthur Hawkins, Jr. Jacket price-clipped, near fine. New York: The Viking Press, 1945. First Edition, First Printing, First State Boards. Hardcover. Octavo, 208 pages; G+/G+; spine blue with yellow lettering; dust jacket protected with a mylar covering, price uncut '$2.00'; moderate wear to dust jacket, including to chipping to head and tail of spine, red lie on head of spine, rubbing; one piece of tape to each pastedown, with bleeding onto facing endpapers; fore edges of boards have some discoloration; partial culaccino to front board; inscription on ffep; All three points present: First Published by The Viking Press in January 1945 is stated on the copyright page with no references to further printings. The first state of the first printing has light-buff (tan) cloth boards and top page edge stained blue; shelved case 2. Shelved Dupont Bookstore. New York: The Viking Press, 1945 First Printing of the First Edition, second state in canary yellow cloth boards, and in the first issue dust jacket, with the original price of $2.00 listed in the upper corner of inside front flap. Book with a bump to upper corner and light wear, else fine; dust jacket with a couple short tears, rubbing to covers, and some tanning to spine and to margins of back cover and folds, else fine. London: Heinemann. London, Heinemann, 1945. First Edition. First Impression. Hardback. Recently rebound in quarter morocco. A decent copy with some foxing edges. Gilt lines a little wonky [7524, Hyraxia Books]. . Fine. Hardback. 1st Edition. 1st Printing. 1945. Viking Press, 1945. Second Printing. Hardcover. Very Good - Collectible/Very Good. 1945 Viking first edition second state in yellow cloth book is clean tight and unmarked, jacket has closed tears to rear panel and light chip at tail of spine ferg Please email for photos. Viking Press, 1945. Hardcover. Collectible: Very Good/Very Good. January 1945 Viking Press hardcover in price intact jacket Tight and unmarked exhibiting light age toning. Jacket show light shelfwear with very light loss at head of spine and closed tears. Please email for photos. 1986-03-02. New. Ships with Tracking Number! INTERNATIONAL WORLDWIDE Shipping available. Buy with confidence, excellent customer service! New York: Bantam. Fine/Fine D. J.. 1947. Fifth Printing. Soft Cover. Rare soft cover with dust jacket. Fine with fine dust jacket. Size: 16mo - over 5¾" - 6¾" tall .